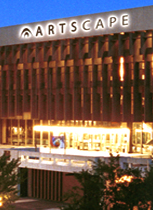 Starting on Friday, theatregoers attending shows at Artscape in Cape Town will get an extra little something festive thrown in when local choirs and bands stage free performances on the theatre’s piazza. The programme kick offs on Friday evening with a performance by the Khayelitsha-based United Choral Artists. 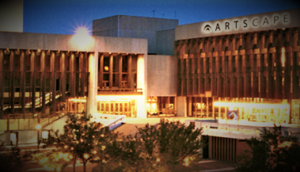 Artscape said the non-governmental organisation, which uses choral music “as a vehicle to advance humanity and eradicate alcohol abuse, drugs and crime”, had performed at various festivals, including the Old Mutual National Choir Festival. 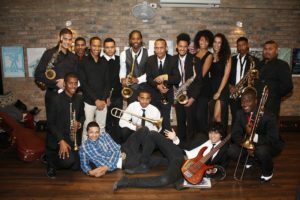 On December 22, the Institute for Music and Indigenous Arts Development will stage a performance by the Little Giants, which Artscape described as an Afro-Jazz youth big band. Established in 1999 by local jazz icons Ezra Ngcukana and George Werner, the band is made up of musicians aged 15-21 from the townships of the Cape Flats and beyond. Little Giants has performed at major festivals, including the Cape Town International Jazz Festival and the Standard Bank National Youth Jazz Festival in Grahamstown. On Christmas Eve theatre patrons will see a performance by the Perseverance Christmas Band, which hails from Elsies River. The band was established in 1969 largely to focus on the development of music in the immediate community and, to date, more than 500 learners have been registered with its music teaching programme. New Year’s Eve sees the finale of the season with the Salt River-based Boarding Boys Sporting Club, the second oldest affiliate of the Cape Malay Choir Board. This 80-member choir will sing out the old year.